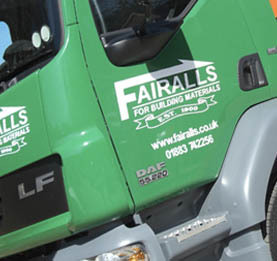 Fairalls Builders Merchants in Godstone have begun trialling a new forecasting system that was developed for them on their K8 system by Chartwell IT. The trial is taking place at the Taylors Hill heavyside branch and has been designed to help them to use Kerridge more effectively by accurately generating automatic purchase orders on some of their fast moving and bulk stock lines, using a combination of historical data and targeted projected sales forecasting, that is specific to their business. Up to now, stock control was carried out by one person in the branch and took up a considerable amount of their time. The new forecasting and purchase ordering development will reduce many of the manual tasks and will allow the Branch Manager to focus more on sales and customer development. Once the trial has been completed satisfactorily, Fairalls intend to roll this out to other areas of their business. To find out if your business could benefit from a more targeted approach to forecasting, contact us today for a no obligation introductory meeting to discuss your requirements.